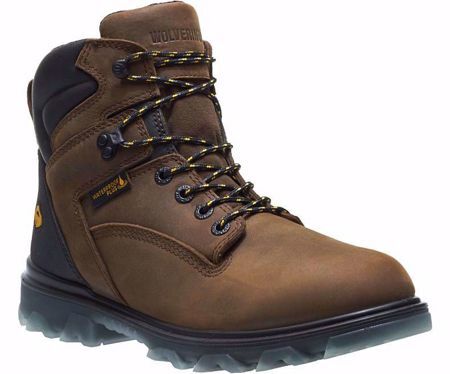 The Wolverine I-90 EPX™ is perfect for long, cold days out on the job, with 400g Thinsulate Ultra insulation to keep your feet warm. Named after the longest highway in the United States, the Wolverine I-90 is made for long hours and many miles. The I-90 features a highly abrasion resistant TPU outsole which lasts 3x longer than other boots, and is resistant to splitting, chemicals and oils. In addition to its stronger than ever outsole, the I-90 has additional Wolverine technologies for long lasting safety and comfort. A nanotechnology CarbonMAX® safety toe keeps wearers light on their feet, while EPX™ technology brings comfort closer to the foot with a dual-density footbed. Backed by our 30 day comfort guarantee, the I-90 is a must for long days on the job.